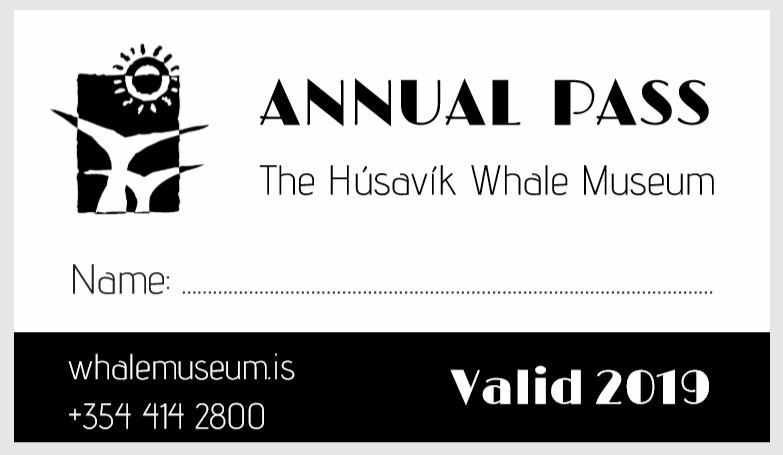 If you want to visit the Húsavík Whale Museum multiple times ask for an annual pass. We offer guided tours of the museum upon request. A guided tour of the museum takes about 1 hour. Price of a guided tour is 5.000 ISK per group. Book in advance at info@whalemuseum.is or call +354 414 2800. Groups (8+) can request a visit to the Húsavík Whale Museum outside of regular opening hours.